The hard court ATP 250 in Auckland comes on the heels of a successful week of WTA tennis at New Zealand’s marquee tennis event of the season. Americans make up three of the top four seeds as Jack Sock, Sam Querrey, and John Isner lead the field alongside Juan Martin Del Potro. Here is your look at the draw. Sock had a hip ailment at the Hopman Cup and went 1-2 for in singles play. After 37 wins last year he has points to defend as he won the Auckland title last season. Presuming he’s fit Sock should begin against Peter Gojowczyk, who opens with qualifier Tim Smyczek. Smyczek had a great run at the challenger tour level to end 2017 but Gojowczyk comes off quarters in Doha. Regardless Sock is talented enough to reach the quarters. Doha finalist Andrey Rublev takes on fellow next gen star Stefanos Tsitsipas, I’m backing the Greek player because he should be fresher and he showed good form, reaching the quarters in Doha. Robin Haase takes on another young gun, Casper Ruud who tends to be at his best on clay. The Dutchman comes off quarters in Pune but I have Tsitsipas winning this quarter before falling to Sock. Roberto Bautista Agut faces Michael Venus first up, Brisbane finalist Ryan Harrison or Steve Johnson will follow. Johnson is in poor form, and Harrison should be fatigued so RBA is the favorite to reach the quarters. Jiri Vesely is struggling but he should beat qualifier Radu Albot before falling to Querrey. I’ll back RBA over Querrey in the quarters. Querrey is starting his season after a career 2017 where he won 35 matches. Del Potro will face the dangerous Denis Shapovalov first up, presuming Shapovalov beats Rogerio Dutra Silva. A healthy Del Potro showed he’s a serious contender last season and he should reach the quarters defeating Shapovalov. Karen Khachanov opens with Yuichi Sugita, while Guido Pella, a semifinalist in Doha, takes on Pablo Cuevas. Khachanov is my pick for the quarters in this open section, with JMDP reaching the semis. Veterans Isner and David Ferrer highlight the third section of the draw, Ferrer should defeat Yibing Wu, while Isner faces Hyeon Chung or Brisbane quarterfinalist Kyle Edmund. It’s not an easy draw for Isner but I have him beating Chung, and Ferrer or Joao Sousa/Donald Young to reach the semis. Any of these 4 guys could take the title, but I’m not sure about Sock’s hip (or his desire to make a run in Melbourne superseding this tournament). Del Potro has the most upside so I’ll pick him to take home the title. 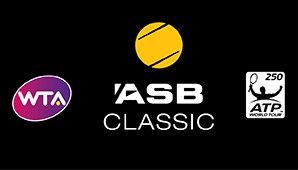 It’s time to preview and predict New Zealand’s only ATP tournament, the ASB Classic. The Women’s version of this ran all last week. For a pre-slam 250, Auckland has one of the better fields it’s had in recent years. Mannarino just took a challenger title to start the year while Baghdatis was injured in his first match in Doha. Both players prefer to attack rather than defend with their tennis, Mannarino continues to alternate between challengers and the tour level with success. He’ll be the favorite in this match presuming he’s still fresh enough. Harrison qualified and is 2-1 to start his season. He’s never lost to Garcia-Lopez (3-0 in the h2h), and the Spaniard is on a seven match ATP losing streak dating back to last season. Harrison spent most of his time at the challenger level last year, going 11-11 in ATP matches. He’s just inside the top 100, and could use a good run in a 250 like this to get back to tour level. Chennai champion Roberto Bautista Agut has won Auckland before, and although Jiri Vesely isn’t the easiest round 2 opponent, presuming the Czech ousts Horacio Zeballos, RBA should still be fresh enough with the first round bye to prevail and reach the quarters. Mannarino should be opposite him, after Baghdatis, Dustin Brown or qualifier Michael Mmoh. Mannarino has lost twice at the tour level against RBA, so the Spaniard should be the favorite to reach the semifinals. Brown could also serve and volley his way to surprise success. David Ferrer struggled in Brisbane as his decline has continued thus far in 2017. Ferrer will face qualifier Finn Tearney, a local favorite, or Robin Haase. He should win that to reach the quarterfinals opposite Albert Ramos/Joao Sousa. Facundo Bagnis and qualifier Brydan Klein are also in this section. Sousa had a down season last year (25-33 record) and is making his 2017 debut, the h2h favors Ramos beating Sousa and Klein, then falling to Ferrer in the quarters. Ramos also made the quarters in Chennai. John Isner will kick off his 2017 season against Malek Jaziri or Diego Schwartzman. Isner posted a down 35-21 record in 2016, and will be looking to get off to a better start, most likely against Schwartzman. Fellow Yank Steve Johnson looms in the quarters, Johnson will face Stephane Robert, then most likely another veteran, Yen-Hsun Lu in round 2. Lu first has to face Karen Khachanov, another player who won a match to open his season. Johnson is good enough to beat Robert and Lu/Khachanov, but I don’t think he’ll get past Isner’s serve this time, and I have Isner reaching the semis and moving his 4-2 h2h edge against Johnson to 5-2. Hopman Cup finalist Jack Sock went 3-1 in singles matches at the exhibition, and presuming he’s fresh and focused, he should do well in Auckland. Sock showed off his great hard court game, and his powerful forehand in Perth. He should ease past Harrison/GGL, and then win against Feliciano Lopez, who he beat in the Hopman Cup. Lopez faces Kiwi Michael Venus in round 1, with Jeremy Chardy or Artem Sitak to follow. The veteran Spaniard went 30-24 last year, while Sock went 37-22 over the same span. It should be a good week for Americans in New Zealand. It wouldn’t shock me at all if the unseeded Mannarino got past Bautista Agut in the quarters and went as far as winning the tournament. Strange results tend to happen in tournaments held before slams, and Mannarino could use the ranking points. Ferrer has beaten RBA twice, and I think he wants and needs to make this final more than his countryman. Ferrer has had success in Auckland, and I see him fighting harder than most players in this field to get back on top. Sock has beaten Isner twice in three attempts since 2015. Isner had a clear edge in the years prior, but Jack is improving, while John has declined just a bit. If Sock plays like he did in the Hopman Cup he’ll be a worthy recipient of his second career ATP title. This pairing have a split h2h, but Sock won in the Auckland semis last season to reach the final. The remaining pair of ATP 250 warm-up tournaments prior to the Australian Open take place this week in Auckland, NZ, and Sydney, Australia. Both are on outdoor hard courts and feature fields that could lead to some surprising results. Auckland has an improved field compared to last season with eight top 25 players, hopefully a strong field will continue to grow interest in tennis in NZ. A battle of big servers likely to feature at least one tiebreak. Karlovic is making his 2016 debut after a strong 2015 season where he reached multiple quarterfinals or better on hard courts. The 36 year old continues to be a tricky opponent with his sidewinding serve. Pospisil lost last week in the opening round of Chennai and looks to do better here. The younger Canadian is likely to start 0-2 heading into the AO however, as Karlovic is a tough out. The defending champion Vesely faces 2014 semifinalist Bautista Agut in this cracking hard court match. Vesely is unseeded but the 22 year old is nearly into the top 40 and 4x reached an ATP quarterfinal or better in 2015. The Czech slumped late last season, and looks to get back on track now after a 1-2 result in Hopman Cup singles. RBA reached the quarterfinals in Chennai and appears to be primed for another good week. A gut check match for Fognini, who beat Sousa in China late last year. Fabio had a strong finish to last season on hard courts, displaying shotmaking prowess, but his talent has never been in doubt and his focus has continually been a disappointment. Fognini should be the favorite here, Sousa is a good attacking baseliner however, and reached a remarkable four ATP finals last year, capturing one title. Four-time Auckland champion David Ferrer should be able to cruise to the quarterfinals past Steve Johnson/Matthew Barton, as Johnson dropped his opening match in Brisbane last week, and Barton is making his ATP debut after years on the challenger tour. Ferrer was shocked in Doha by Illya Marchenko, and could run into trouble in the quarterfinals if Benoit Paire can find form. The Chennai semifinalist continues to rise. Paire should ride his backhand to a win over wild card Michael Venus, and then beat the Guillermo Garcia-Lopez/Lukas Rosol winner. Paire just beat Rosol in Chennai, where GGL was a quarterfinalist. Paire is 2-1 against GGL, but 0-3 against Ferrer. Having never faced him on a fast surface, I’m going with Paire’s form to upset Ferrer and reach the semifinals. Kevin Anderson sustained a knee injury that forced him to withdrawal from Chennai and now he’ll have to defend semifinal points in Auckland. The South African is in for a tricky quarterfinalist test against the Karlovic/Pospisil winner, as long as he can brush off injury concerns to beat either Pablo Andujar or qualifier Robin Haase in round 2. Anderson is 1-1 against Karlovic on hard courts, but given the knee concerns for Anderson, I have Karlovic reaching the semifinals. Karlovic/Pospisil faces Jack Sock/Victor Estrella in round 2. Sock struggled in Hopman Cup play for Team USA, he remains talented and rising, but his form is in question. Karlovic is 3-0 on fast surfaces against Sock. Jo-Wilfried Tsonga went 19-8 in the summer and fall hard court seasons in 2015, after a slow start returning to tour from an injury. The Frenchman is back in the top 10, now as an experienced campaigner, and with his health back, the fan favorite should be able to continue his attacking brand of tennis into 2016. Tsonga is set to face a German in round 2, Benjamin Becker has qualified for both Doha and Auckland already this year, while Philipp Kohlschreiber remains a talented veteran, reaching an ATP quarterfinal or better more than a half dozen times, though he had erratic results as well. The 2008 Auckland champion should defeat Becker but fall to Tsonga, given the Frenchman’s dominant 8-0 h2h record. Tsonga’s difficult section should continue in the quarterfinals. The Fognini/Sousa winner will be favored over either qualifier Thiemo De Bakker or Albert Ramos. Either could trouble Tsonga, but given his 3-0 h2h over Fognini, he should be the favorite to reach the semifinals. Rounding out the semis should be two-time champion John Isner. The American #1 is bidding for the top 10 after a strong season on hard courts last year (a title, a final, and a masters semi). Isner will need to serve past either his good friend Sam Querrey, or Chennai semifinalist Aljaz Bedene in round 2. Querrey is capable of decent hard court results, while Bedene continues to show improvement but may be suffering from fatigue. The RBA/Vesely winner is the likely quarterfinal opponent for Isner, with just Donald Young or local wild card Finn Tearney standing in their path round 2. Tearney is making his ATP debut, the former Pepperdine NCAA player has risen up the challenger ranks, while Young remains an unpredictable competitor. Isner is 2-0 in the h2h against RBA, though both their matches went three sets. Isner should be the superior player and setup a semifinal meeting with Tsonga. Like Vesely, Sock went just 1-2 in Hopman Cup singles, however he could find his way into the semifinals or better if he can get past Karlovic/Pospisil in round 2, and likely a hobbled Anderson in the quarters. Facing big servers is always a tough ask on hard courts, but Sock has the ground strokes to compete, and this looks to be a good year for him. I wouldn’t put it past the American to find form and impress this week. Karlovic has a hard court h2h win over Paire, while Isner is 3-1 against Tsonga, and has winning history in Auckland. Ferrer or Paire could just as well reach the final, but I’m backing big servers. Karlovic leads Isner 2-1 on hard courts, but it’s a close matchup of players with similar styles. Expect tiebreaks, with Isner’s sweeping forehand against Karlovic’s net game. This sets up to be a good week for Isner, who opted to start the season in Auckland.